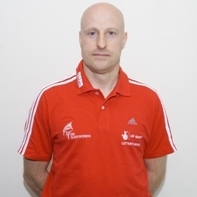 Gary Hall became the Performance Director for the Great Britain Taekwondo Team in 2006. He has led the Great Britain team in all major events since 2001 and was the Team Leader at the Athens and Beijing Olympics. In his own athletic career as a Taekwondo Athlete he was the National Champion of Great Britain for 10 years and represented Great Britain at three European and World Championships. He has also coached his own Taekwondo school as well as being a National Team Coach for a collective period of over five years. Gary has an MSC in operations management and has extensive business knowledge across a range of manufacturing and service industries; he was the Quality Director of Lambert Howarth PLC and Head of the Home Technology Department for Next PLC prior to becoming a full time Performance Director. Gary established the team who formed Sport Taekwondo UK Ltd; this company was established from a former Sport Committee of the BTCB which is the national governing body for Olympic Taekwondo in Great Britain. During his executive directorship and performance director role Sport Taekwondo UK Ltd has increased its budgetary income from 20k/annum to its current total of 1.5 million pounds per annum. Taekwondo as a sport and business has moved on to unprecedented success under his stewardship.